Engineers, designers, and content creation professionals are constantly being challenged to find new ways to explore and validate more ideas–faster. This often involves creating content with both visual design and physical simulation demands. For example, designing a car or creating a digital film character and understanding how air flows over the car or the character's clothing moves in an action scene. 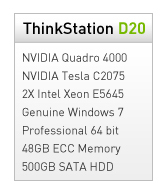 NVIDIA Maximus-powered workstations solve this challenge by combining the industry-leading professional 3D graphics capability of NVIDIA Quadro® GPUs and the high-performance computing power of NVIDIA® Tesla™ GPUs. 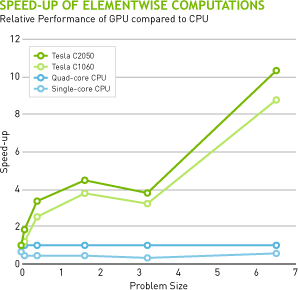 Tesla co-processors automatically perform the heavy lifting of rendering or CAE computations, freeing the Quadro GPUs to do what they do best—enabling rich interactive graphics. With Maximus engineers, artists, designers or scientists can now interact with high-performance visuals while performing simulations or renderings on the same system – at the same time. With Maximus technology, you can perform simultaneous structural or fluid dynamics analysis with applications such as ANSYS while running your design application, including SolidWorks and PTC Creo. With Maximus technology, you can perform rapid photorealistic rendering of your designs in applications such as 3ds Max or Bunkspeed while still using your system for other work. With Maximus technology, photorealistic rendering is interactive. And it allows you to simultaneously run other applications without bogging down your system. 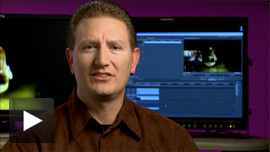 With Maximus technology, you can edit video with more effects, more layers and encode faster. Quickly explore large datasets and complete multiple iterations in the time it used to take to do just one With new NVIDIA Maximus technology, MATLAB users can accelerate their discovery and development by exploring large datasets to quickly apply multiple transformations and experiment with different algorithms. 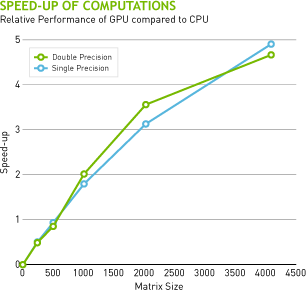 The result is more robust and accurate mathematical operations that deliver answers exponentially faster. "The real advantage of the Maximus technology is flexibility. I don't have to give each of my engineers a workflow to run through. It's up to them. What they work on first or when doesn't matter anymore, because the Maximus system can handle it all at the same time - it's a tremendous tool because my team is not waiting on computational power, period." 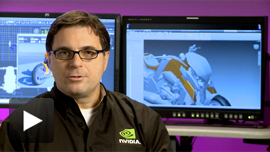 "The NVIDIA Maximus-powered system is like getting three people's worth of use on a single machine. This system is a beast. We haven't yet found anything it can't handle, even simultaneous CAD, analysis, and additional number crunching in remote rendering jobs. We can do all our highly complex analysis or rendering without interrupting other work going on." - Jason Calaiaro, Director of Information Systems for Astrobotic Technology. "Last year, we were forced to compromise, eliminating a lot of great features and dumbing things down because our computer technology wasn't fast enough to perform the design and rendering we needed. This year was an entirely different story. The NVIDIA Maximus-powered system gave us the time to explore different options - with Maximus systems we can now be 10 times more creative. In a given amount of time, we can explore so many different options and get to a better end product." 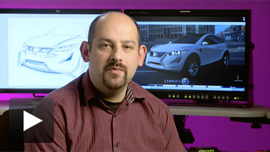 - Alan Barrington, the Mercedes Advanced Design Center California. 1 Benchmark obtained comparing 2 and 8 CPU cores versus 8 CPU Cores + Tesla C2075 running ANSYS Mechanical 13.0 SP2, V13sp-5 Model- Turbine Geometry, 2.1M DOF, Static Nonlinear, Direct Sparse CPU: 2 x Westmere Xeon 5670 at 2.93 GHz. 2 Test consists of a collection of hard surface objects rendered outdoors in 3ds Max with iray 1.2 comparing an NVIDIA Tesla C2075 and the indicated Quadro GPU with the CPU relative to an Intel 3ghz x5570 Xeon CPU with 8 cores rendering. ECC has been turned off for all GPUs. Values shown are percent increase in render speed relative to CPU. 3 The comparison presented for Catia Live Rendering is based on industry standard workstation: HP z800 with dual quad core Xeon W5580 CPU @3.2GHz and appropriate CPU or GPU combination, 12GB RAM, Win7-64bit OS. 275.89 Dassault Certified Driver was used in the benchmark running Dassault Catia V6R2012.HF6 (6.211.6.0) at 1920x1200 resolution. The comparison shows average frames rendered per second (on a total of 100 frames). CPU-only result is based on 8 CPU cores, and CPU+GPU results are based on 6 CPU cores.